How blessed is God! And what a blessing he is! He’s the Father of our Master, Jesus Christ, and takes us to the high places of blessing in him. Long before he laid down earth’s foundations, he had us in mind, had settled on us as the focus of his love, to be made whole and holy by his love. Long, long ago he decided to adopt us into his family through Jesus Christ. (What pleasure he took in planning this!) He wanted us to enter into the celebration of his lavish gift-giving by the hand of his beloved Son.Because of the sacrifice of the Messiah, his blood poured out on the altar of the Cross, we’re a free people—free of penalties and punishments chalked up by all our misdeeds. And not just barely free, either. Abundantly free! He thought of everything, provided for everything we could possibly need, letting us in on the plans he took such delight in making. He set it all out before us in Christ, a long-range plan in which everything would be brought together and summed up in him, everything in deepest heaven, everything on planet earth. It’s in Christ that we find out who we are and what we are living for. Long before we first heard of Christ and got our hopes up, he had his eye on us, had designs on us for glorious living, part of the overall purpose he is working out in everything and everyone. It’s in Christ that you, once you heard the truth and believed it (this Message of your salvation), found yourselves home free—signed, sealed, and delivered by the Holy Spirit. This signet from God is the first installment on what’s coming, a reminder that we’ll get everything God has planned for us, a praising and glorious life. How blessed are we,that God chose us before and he created the world for us. He chose to adopt us, he wanted us for himself, to be members of his family. Knowing we would fail,he sent his own son to redeem us,restore us. He love us freely without conditions, his love is unfailing and everlasting. His love for us is perfect. This is not easy to write about. Traditionally Judas is seen as the figure of evil,the betrayer who put Jesus on the cross. However without this betrayal the Messiah could not have fulfilled the scriptures foretelling of a trial in rejection by his people. Judas was instrumental in bringing about the peoples ultimate salvation from Rome only he did not comprehend the enormity of his actions at the time. The angry return of the money only solidified his guilt and his decision to commit suicide was a last, desperate human effort to allay his shame. By providing the mechanism by which the Resurrection could be fulfilled, some suggested Judas became the first martyr for the church. Judas was handpicked by Jesus to be a disciple empowered to preach the gospel. Given authority to heal the sick,to cast out devils however he had weaknesses as did the other disciples. He was not among the most intimate of the group as Peter James and John. Judas might have felt one reason for this was because he was an outsider and not from Galilee, coming from Kerioth in the district of Jerusalem. On this point I asked you to consider whether Jesus may have specifically chosen an outsider that’s the one whom he knew would betray him in order that they would be no recriminations against the remaining 11 disciples and their families as they all came from Galilee. Scripture tells us that Judas was a man of financial ability,, trusted to keep the common purse even though Matthew, the tax collector would have been better qualified.Judas was a man persuasive reasoning reflected by a scene in the home of Mary of Bethany. Mary had anointed Jesus with a rich appointment. Judas saw this act of love as a waste of precious money and should be sold and the money given to the poor. He was above suspicion by the other disciples after the final hours of his own life. At the Last Supper Jesus is that in the place of honour.. Maybe climbed near the Lord on the left so they could talk quietly. The composite picture of Judas as an ordained apostle of financial competence, with persuasive verbal abilities and the persona to command personal respect has compelled some to have compassion for him. Judas has been portrayed as almost virtuous, presented as a merely misguided patriot who actually love the Jesus and only hung himself because his scheme to force Christ into political leadership against Rome did not materialise. It has been suggested that Judas used his reason in a clear sighted and call manner to discern that the Ministry of Christ was over I’m Judas saw a head on collision with the Roman authorities so he simply arrange to have the Lord arrested with the expectation that Christ would be out of harms way. Or was Judas so caught up in the hype of being one of the chosen is one, and by bringing about a confrontation between Jesus and the Pharisees, Jesus would be provoked becoming the leader of a politically motivated uprising against Roman occupation. Judas would in turn become one of the select few and therefore become the master of a very large common purse. But when Jesus didn’t fight back and the Romans took control of Jesus judas lost his resolve. The 30 pieces of silver he received was only a small amount which would not having surety safety following the betrayal, nor would it has provided him with a lifestyle free from guilt. Is this an indication that his motive was was financial? Probably not as he wanted to return it but then what was his motive for the returning of the money was it to distancing from the event. We know that he knows he made the wrong choice and regretted it taking his own life. The second century Greek teacher Origon suggests that as soon as Judas fully realised just what he had done he rushed to commit suicide in order to meet the Lord in Hades replace of all the dead and there he intended to break the Lord’s forgiveness. One final observation: didn’t the Apostle Peter also betray the Lord by his denials? So, what’s the difference? 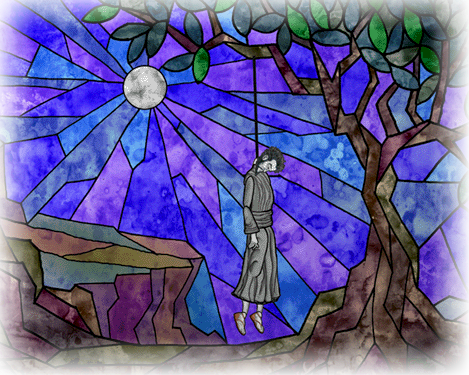 Sure, Peter wept in bitter remorse for his betrayal, but Judas too confessed, “I have betrayed innocent blood” and gave back the thirty pieces of silver. So what’s the difference? The difference is in the way that Peter and Judas see the crucified Lord. Peter had confidence in the mercy of Christ, and Judas did not! Judas’ greatest sin was not in having betrayed Christ, but in having doubted his mercy. And so, here is what the story of our brother Judas should move us to do: to surrender ourselves to the one who freely forgives, to throw ourselves likewise into the outstretched arms of the Crucified One. He sought out Peter after his denial to give him forgiveness, so who knows how he might have sought out Judas at some point in his way to Calvary! When Jesus prays from the cross, “Father, forgive them; for they know not what they do” (Lk 23:34), he certainly does not exclude Judas from those for whom he prays. to any man who comes in search of it. This is what Christ’s Passover can do for each and every one of us. They tried, but didn’t succeed. They tried and tried to tangle our Lord in barbed wire with questions ,clever questions they thought. But nothing they said could hold him fast upon the wire. he answered with questions which challenged their authority and understanding of the scriptures. They tangled him in the wire because he knew his hour had come. Nailed to the Cross for us and for our salvation,rising on the 3rd day, no longer held by the wire. 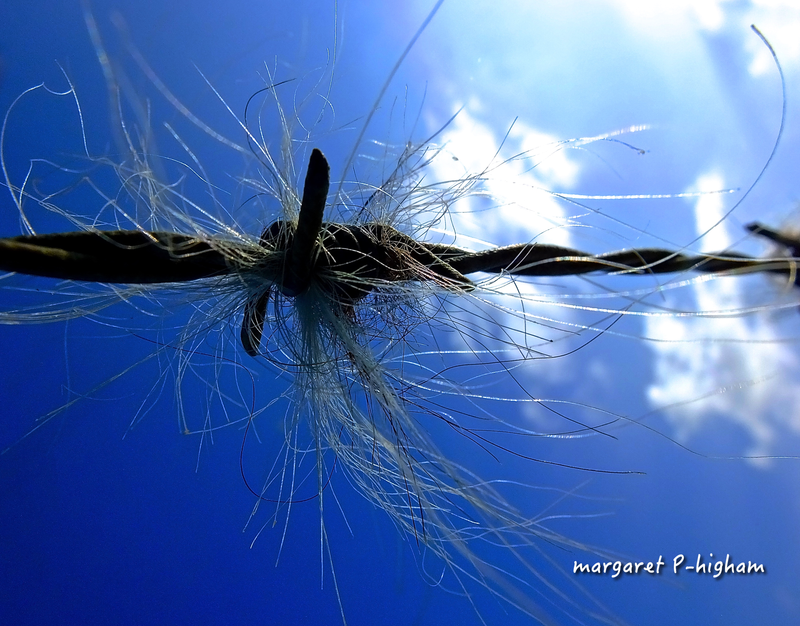 Escaping the wire that held him, setting us free to bear witness to his teaching here on earth. Posted on March 28, 2015 March 28, 2015 Categories Christian, EASTER, MARK, NEW TESTAMENT, photographyTags BIBLE, CHRISTIAN, EASTER, photograpyLeave a comment on They tried, but didn’t succeed. I remember the first time I was left alone with my newborn son. The overwhelming feeling of love accompanied by the fear of caring for this little soul. As I grow older I see that there is a natural reversal of roles and the child becomes the caregiver for the parent. I think this reversal was part of Mary’s relationship with her Son. 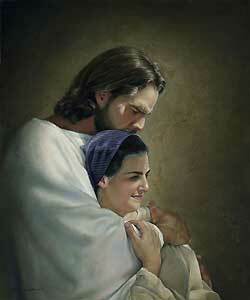 I found this wonderful painting by Liz Swindle of Jesus giving his Mother Mary a hug. I love the way Mary is smiling and has her hand placed lovingly on his arm. It inspired my sermon for Mothering Sunday. Today is Mothering Sunday and NOT Mothers’ Day….because for us in church today is a day when we celebrate and thank God for our mothers, we celebrate even more the huge army of people who mother us…. Moses received love, care and nurture from not one but three mother figures – and I’m confident that it’s worked that way for most of us.Each one of us needs so much love, care and encouragement…and I know as a mum that though I do my best, my son would have a very raw deal if he relied only on me – but I know that I’ve shared in the real work of mothering with so many others, just as I received that sort of care from many different people besides the loving and loved woman who gave birth to me ,my mum. Most of you know my mum died a few years ago but I have been so fortunate to have had many surrogate mums who have loved ,cared and encouraged me. one thing they have all been good at is given me hugs.I like hugs and I am sure you all do !!! I often need a hug to help me feel better and make me smile… give yourself a hug or if you know the person next to you give them a hug. So much mothering given and received, – and that’s just how it should be. Today can be difficult for many people.Some who have never known their birth mothers, or lost them along time ago.Some of us have children who have disappointed us, or whom we have disappointed.Some of us longed for children but found that it didn’t work out…or have suffered the awful pain of losing a much loved child. But the message today is that family exists where people are loving towards one another – not just where there are mum, dad and children. Our gospel reading shows us how that sort of family can be created…as Jesus asks his mother to look after his best friend, and that friend to look after his mother. He knows that he won’t be there to care for either of them but wants the best for both of them…so here, even while he’s telling John that Mary is now HIS mum, and Mary that John is to be her son, it’s mostly Jesus that does the mothering. Jesus brings a new family to birth through his loving care and the family he establishes is the family that’s here today…the Church. Mothering Sunday is about ALL those who mother us, women, men and children – those who care for us, who teach us and help us to grow. We go on needing people like that whether we’re 5 or 50 so let’s ask God to help us to share his work of mothering, of loving and caring for one another and let’s make our church a true family where all are welcome. 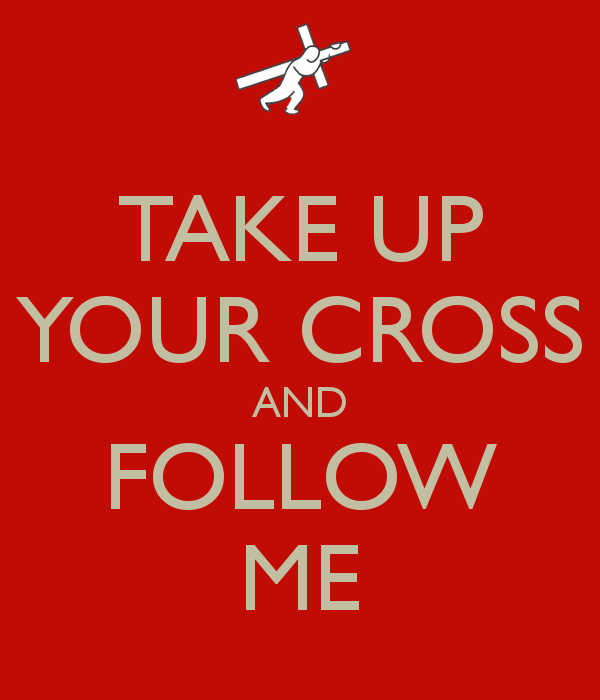 CARRY YOUR CROSS AND FOLLOW ME. Jesus call us to take up our cross. Today we are challenged by Jesus to take up our Cross. We carry the Cross, we received at our baptism. However, just because we wear it and carry it doesn’t mean to say that live our life any differently from those who don’t wear the Cross. We have to chose to live by the cross,to follow Christ,listen to his teachings and carry them out.To carry the Cross will not be a walk in the park , it is not to been viewed as the road to wealth and ease. It will be a life of self denial and sacrifice, a walk towards the riches of a deeper relationship with God. Posted on March 1, 2015 March 17, 2015 Categories BIBLE, Christian, MARK, NEW TESTAMENT, THEOLOGYTags BIBLE, CHRISTIAN, christianity, faith, theologyLeave a comment on CARRY YOUR CROSS AND FOLLOW ME. 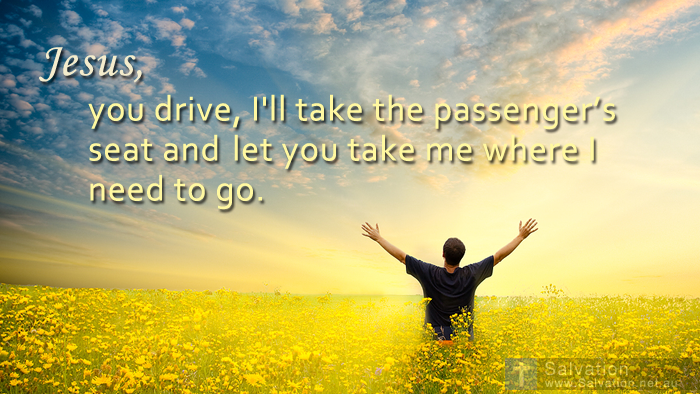 IS GOD DRIVING YOU THROUGH YOUR LIFE? Is God in your driving seat? 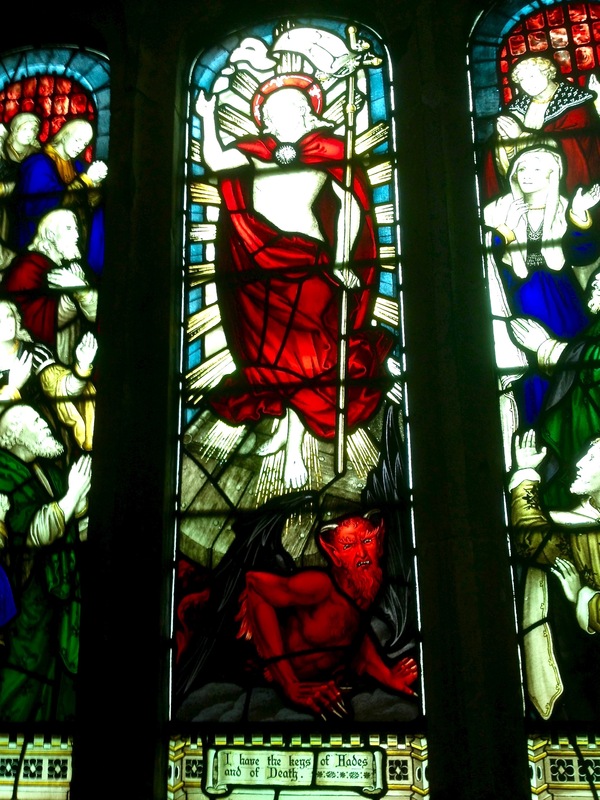 Last week we had Jesus being tempted/tested by Satan. Satan appears again this week, but in the person of Peter who seeks to prevent Jesus from doing what he must do. Why does Peter do this? He has not “set his mind on” the things of God, but on human things. Jesus’ harsh critique of Peter involves more than just the few words spoken on this occasion. Jesus say to Peter” Peter get out of my way! Satan ,get lost! you have know idea how God works.Even after the clear words from Jesus, Peter still hasn’t got the proper picture. He needs an “attitude adjustment”. He is seeing with “human eyes” rather than through the will and eyes of God. He tells Jesus what is and what is not going to happen — typical of first-born children? He wants to be a leader, not a follower. Are we ever guilty of having such attitudes? Jesus then proceeds to tell those around him the following him how things will be. “Anyone who intends to come with me has to let me lead. God is in the driving seat. Being a follower of Christ means making sacrifices, the disciples left their families, not knowing where they were going or what they would end up doing. Following the teachings of Christ doesn’t make for an easy life,it is not a paved road to wealth and an easy life.It involves hard work, persecution,deprivation and deep suffering. Peter saw only parts of the picture and we must be careful not to make the same mistake. As Satan tempted Jesus, life brings us many temptations, the temptation to turn away in time of difficulties when the cross gets to heavy to carry. At times it is so hard to love your neighbour. The message says ‘we must not run from suffering’ our suffering and the suffering of others. Jesus calls us to embrace suffering. He says follow me and I will show you how. Self-help is no help at all. Self-sacrifice is the way, my way, to save yourself your true self. Jesus wants us to choose to follow him rather than lead a life of sin and self-satisfaction. He wants us to stop trying to control our own destiny let him direct us as I said before he is in the driving seat and he knows better than we do what real life is about he also submission, He asked us only to lose our self-centred determination to be in charge. Jesus addresses the crowds saying “whoever wants to be my disciple must deny themselves and take up the cross and follow me”. We wear the cross of Christ crucified from our baptism, we carry his cross and as I said last week we cannot walk away from this cross it is with us always whether we remain faithful. Jesus call us to self-denial so that we may continue to evolve spiritually as God intended. By learning to lives together unselfishly in this life, we may be preparing ourselves for the next great evolutionary leap forward, when individuals willingly sacrifice all so that we may live together in love. If you had begun to imitate Christ, you are ready for the next step in the great adventure of life the God puts before us here for. We have a duty, we are trustees not of the church but of the christian faith. we are responsible for the continuing faith in this place and in the country, so no pressure. When reading compline at Abbotsbury I was reminded of the benedictine monks who did the same nearly a thousand years ago. Will there be a christian community here in a thousand years time.? if we do as jesus directs and we continue to carry his cross, listen to God and do his bidding and above all let him, God, be in the driving seat. Posted on March 1, 2015 February 24, 2018 Categories BIBLE, Christian, NEW TESTAMENT, THEOLOGYTags BIBLE, CHRISTIAN, christianity, faith, feminist, theologyLeave a comment on IS GOD DRIVING YOU THROUGH YOUR LIFE? If I was a shepherd I would bring a lamb,……. yet what can I give him, give him my heart. Last sunday I was privileged to baptize Beatrice Rose and this is the sermon I preached. Gracious God your love upholds all creation. In your Son’s life among us, you embraced the weakest and most vulnerable. Fill us with your Spirit that we may welcome and serve all as he did. Amen. Today is a special day in the church year. next week we move into the Season of advent and preparation for Christmas when I was thinking about the gospel the lines of the carol in the bleak midwinter came to mind “if I were a Shepherd I would bring a lamb yet what can I gave him give him my heart” and that is exactly what the sheep in the gospel this morning have done they have given their hearts. And now they Will enter into the kingdom because of their actions they are to be blessed but what actions did they take, let’s look at the actions in relation to our lives. I was hungry and thirsty and you gave me food and drink . What is the first thing that you do when you welcome someone into your home 9/10 you offer food and drink tea coffee and cake/ biscuit? I was in prison and you came to me; the prison could be behind bars but those bars may not be the iron bars of prison window. It could be outside forces the prison of being in debt the prison of being lonely the prison of being abused and that can be helped by Christians fighting for justice for those in this situation. I was sick and you stop to visit. Today this community welcomes a little lamb, welcomes Beatrice into our church community. today is a historic day for the family and for this church because Beatrice’s grandmother and mother were both baptized in the font at St Mary’s Church. Beatrice starts out on her Christian journey with the promise that God will be her constant companion, he’ll be in front I’m behind her and will carry her when she needs holding. Her godparents will make promises on her behalf and with those promises come the promise from God to be with her, a promise that never can be broken. Beatrice will be signed with the cross of Jesus Christ and cross that cannot be removed she is now part of gods family, a family you cannot leave. She will be given her name and she will be washed in the precious water baptism so they may always receive forgiveness in their lives and never be separated God. 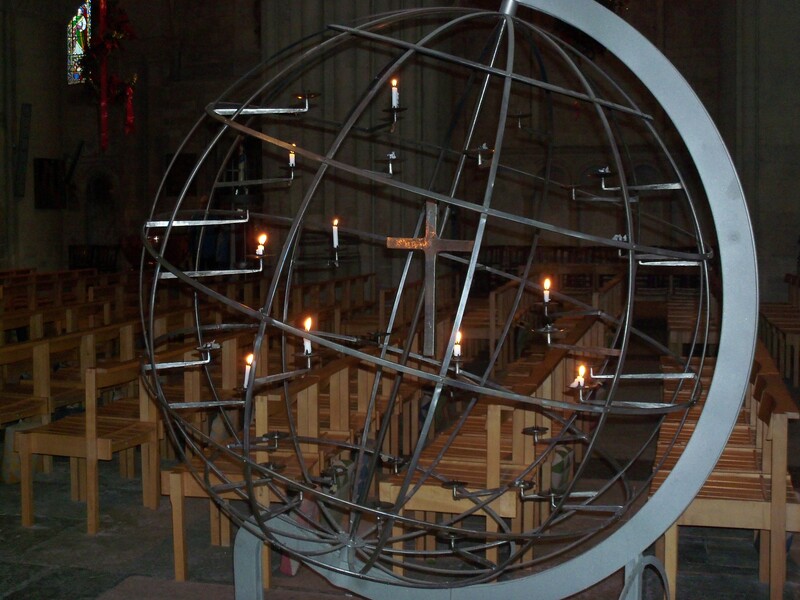 And at the end of the service she will receive a lit candle to show that Jesus as light has come into her life and with the light of Christ in her life the light that overcomes darkness. As she grows in faith, the one thing important thing is that she will be welcome into the fellowship of faith, you the congregation will join me and saying we welcome you into the fellowship of faith, we are children of the same heavenly Father “we welcome you”. Then we will say the peace, that we are all one in Jesus Christ, that we belong to him in faith which takes us back to our Gospel to the sheep who welcomed the master into their lives through the acts of kindness and the acts of love and those who welcomed are blessed and sit on the right hand in the kingdom of God. Amen. Posted on November 28, 2014 April 4, 2015 Categories Christian, NEW TESTAMENTTags CHRISTIAN, scripture, sermon, theology, writingsLeave a comment on If I was a shepherd I would bring a lamb,……. 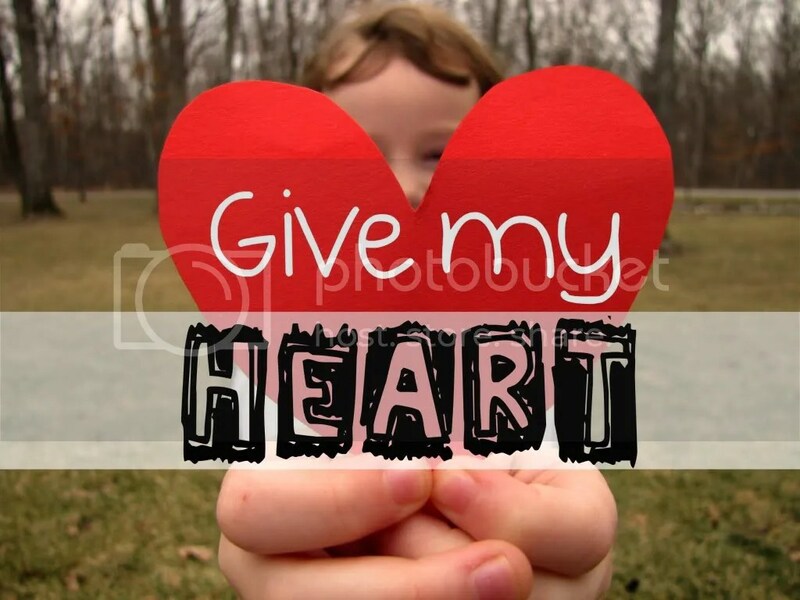 yet what can I give him, give him my heart.